The internet has forever changed the way we communicate, conduct commerce, and gather information that is why SEO strategies are so important. Search engines are increasingly becoming the reference tool of choice for individuals searching for goods and services. 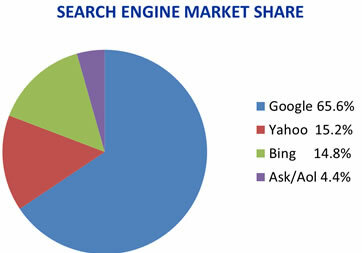 In a Burke 2011 study 76% of respondents used search engines to find local business information. Your website is your internet storefront, and our job is to drive traffic to your storefront via the web. Are your potential customers able to find you via online searches? How many searches are conducted each month for your service? Would a 24/7 first page visibility increase your bottom line? Americans conduct over 20 BILLION searches each month. 59% of all Internet users use search engines on a daily basis. According to 2011 Burke study, 76% of respondents used search engines to find LOCAL BUSINESS information. 70% of search engine users choose organic sites over sponsored. Conversion rates for “Organic” sites are 3 times higher than “Sponsored” sites. Statistics demonstrate how “Organic” SEO is a much superior method for achieving online marketing success versus “Sponsored” or “Pay Per Click” campaigns. The vast majority of individuals using search engines prefer “Organic” listings because they feel they are more relevant. This is why SEO it is so crucial for your website to be optimized in order to achieve top placement on the major search engines. Your potential customers are waiting for you.